It’s always nice to take some time off, especially with this awesome weather we have been having. Yesterday afforded me the opportunity to take the afternoon off with my children Maggie and Kaegan and go to St. John’s. 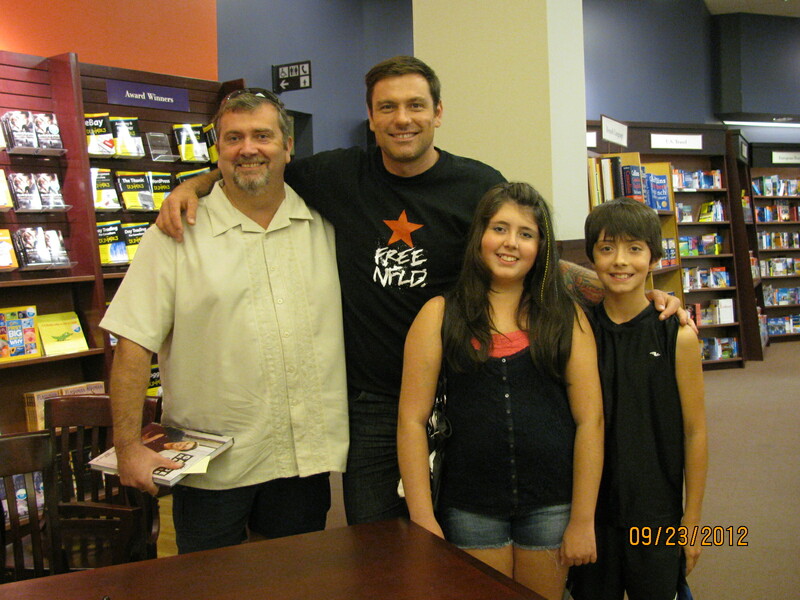 When I told them why we were going, let’s just say they were ecstatic; through the wonderful world of twitter I found out that Chuck Hughes was going to be signing his new cookbook at Chapters St. John’s. We were all disappointed we could not make the Roots, Rants and Roars Festival in Elliston this weekend, especial with Chuck being one of the featured chefs, so when I heard he was going to be in St. John’s we had to go! For those of you, who are not totally familiar with Chuck’s work, WAKE UP! (LOL) He is best known for his Food Network show “Chucks Day Off” and new series “Chucks Week Off, Mexico”(that show rocks!! ), he is also a well-known chef and restaurateur in Montreal. 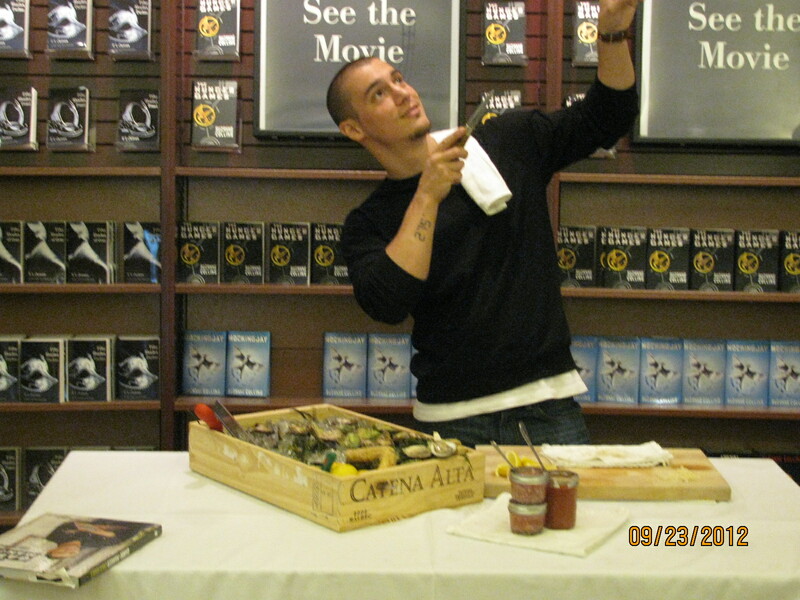 Ok so now the introduction is over, the reason for the visit to St. John’s was to meet the guy, but as well, to get his new cook book and of course get it signed. I have enjoyed the read as it gives insight into how he got started in the restaurant business with his partners and where his passion for food comes from. The book has plenty of recipes that are not too intimidating. 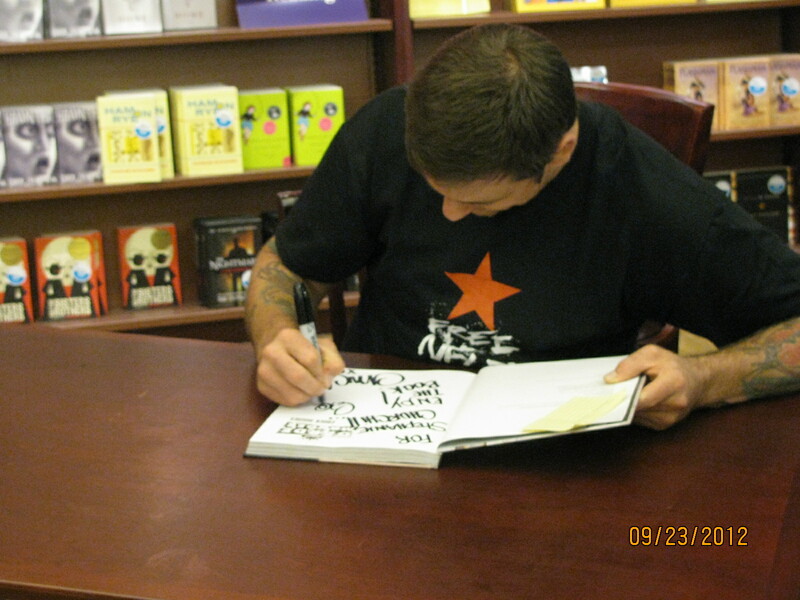 By the way, he loves lobster, enough so, that he drew one on our book (and has a tattoo of one on his forearm). 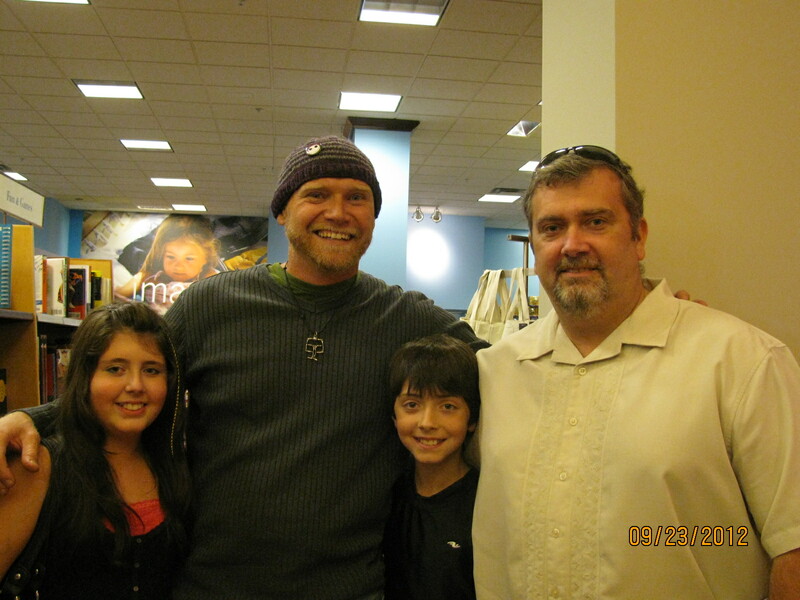 I was also impressed that he recognized me from Twitter, which freaked the kids out. I thought, “Sacred Heart of Jesus, how did he know me”? It was nice to know that my tweets were being seen, it meant a lot to me. During our visit to Chapters we had the opportunity to meet up with Todd Perrin, our native Newfoundland and Labrador culinary ambassador and contestant on Food Networks, Top Chef Canada. I have met Todd on numerous occasions and he is indeed a gentleman and very passionate about local food. My children are huge fans of his too, and enjoys posting pictures of some of their creations to him on Twitter (which he is gracious enough to send some encouragement their way). The dude actually said “I know you”!! Made my day!